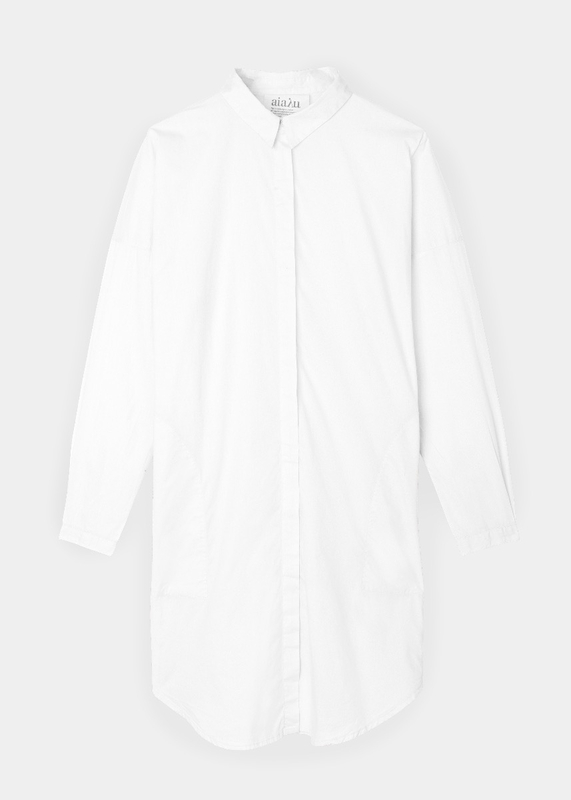 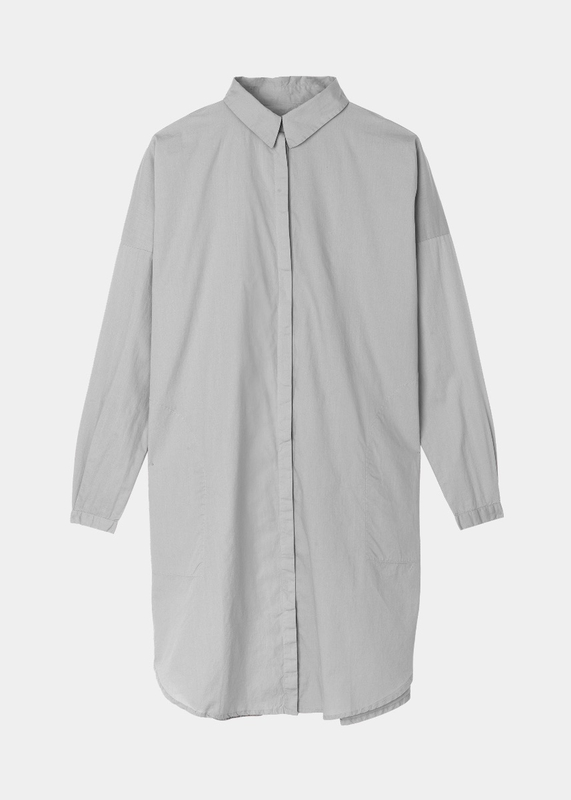 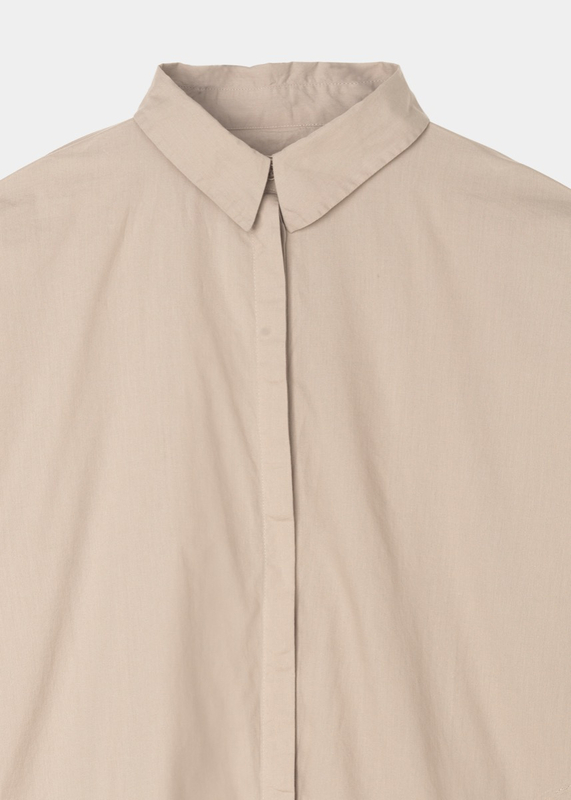 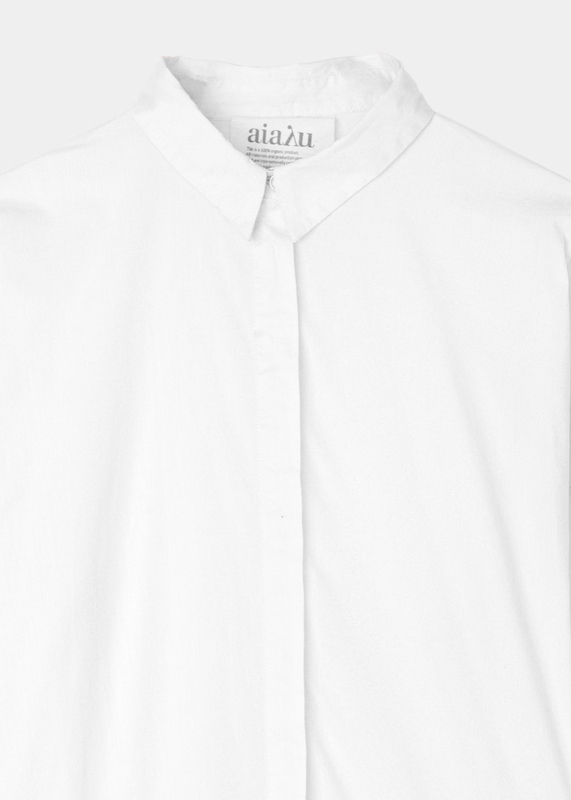 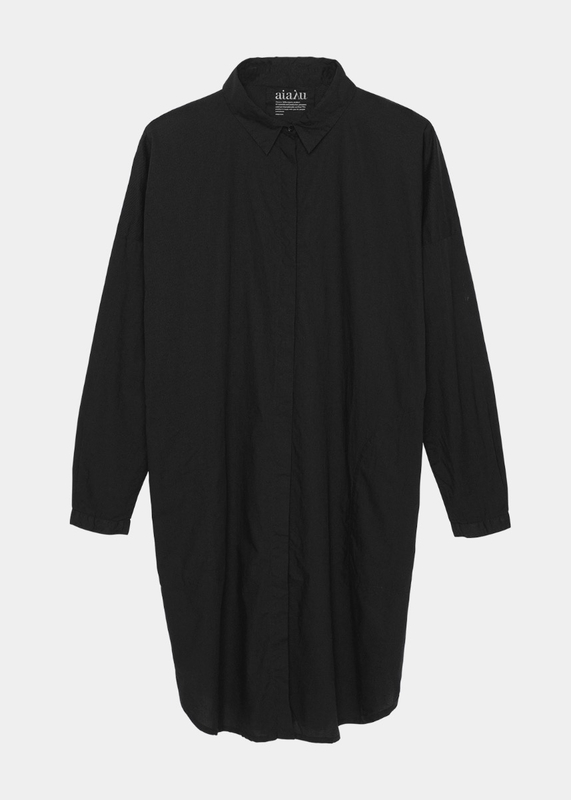 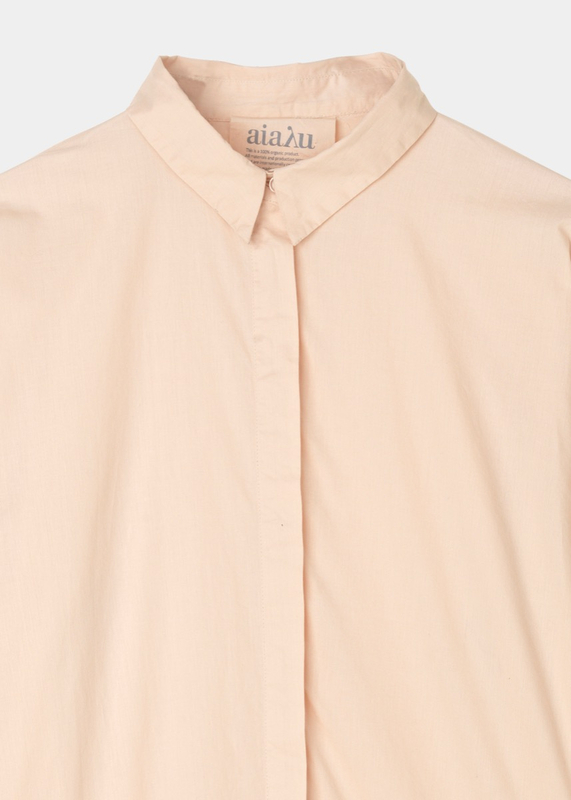 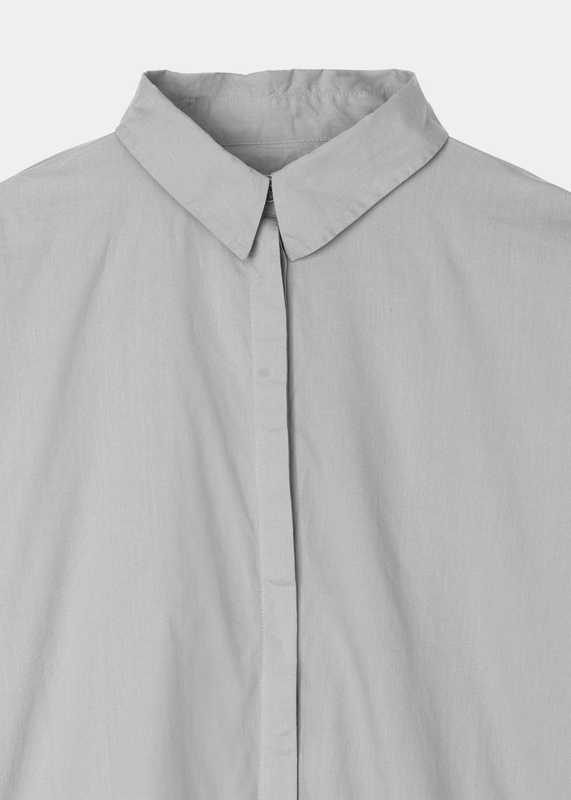 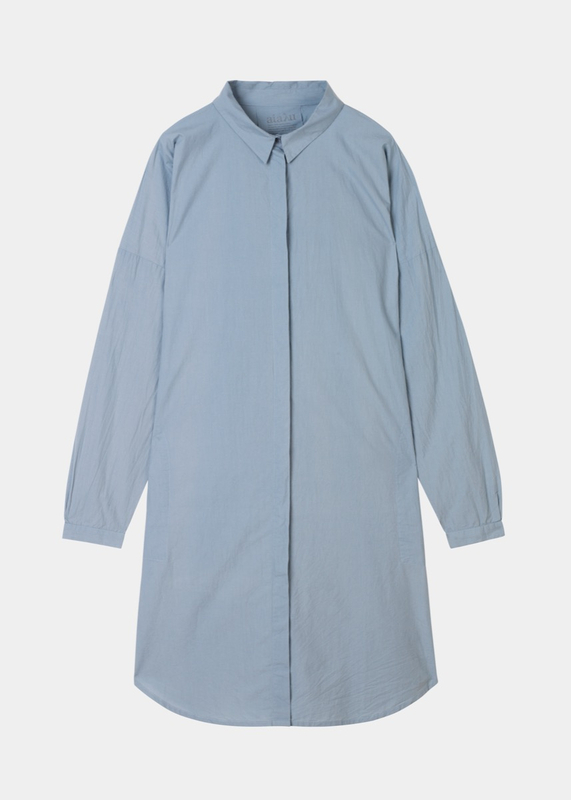 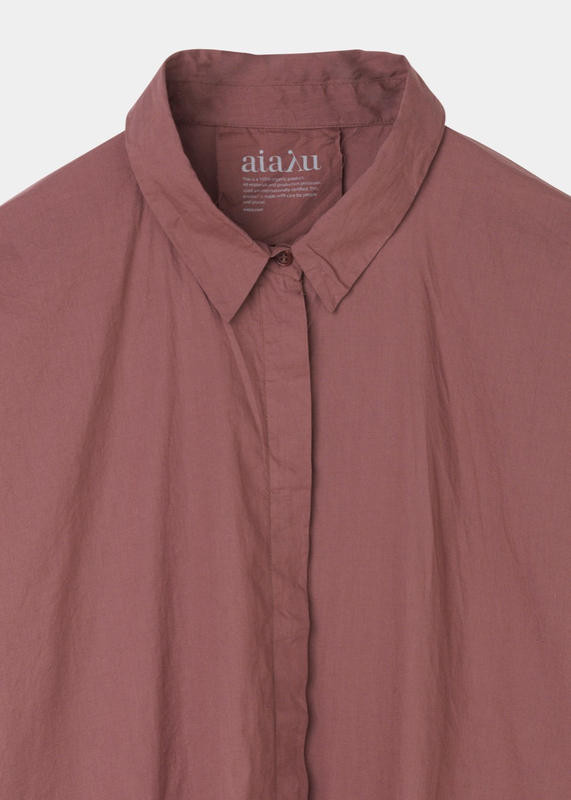 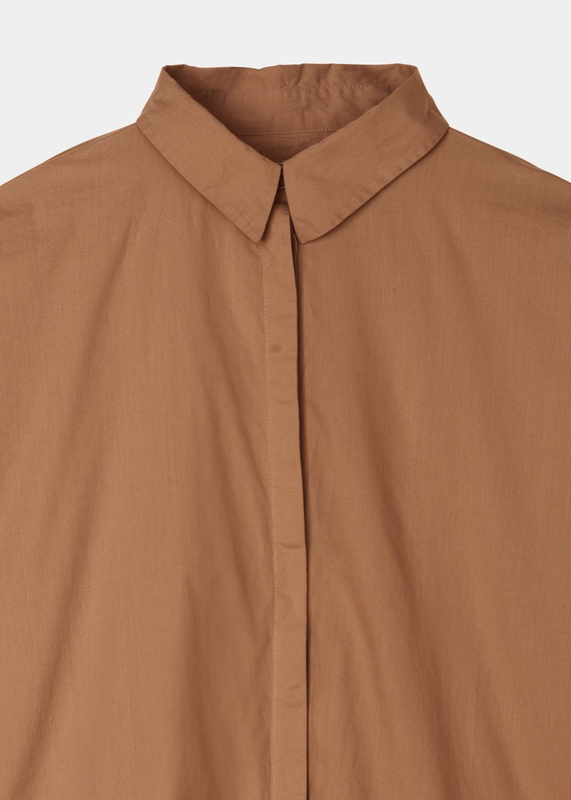 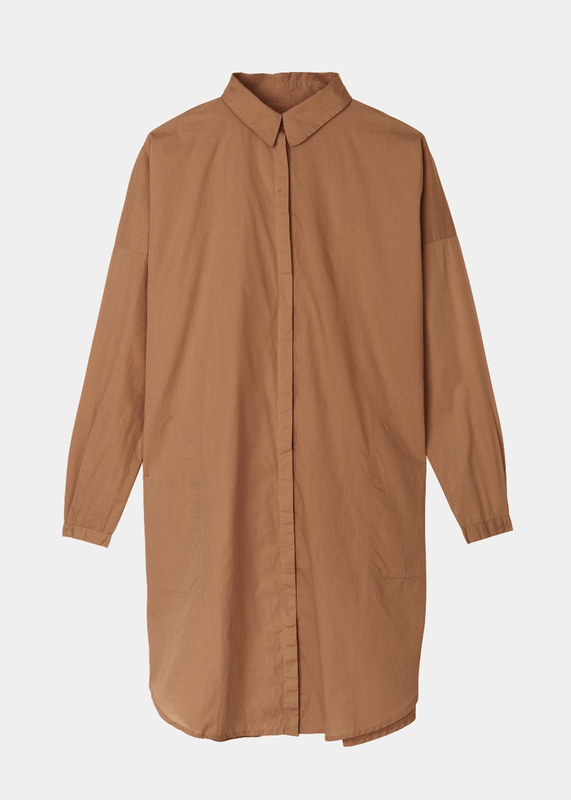 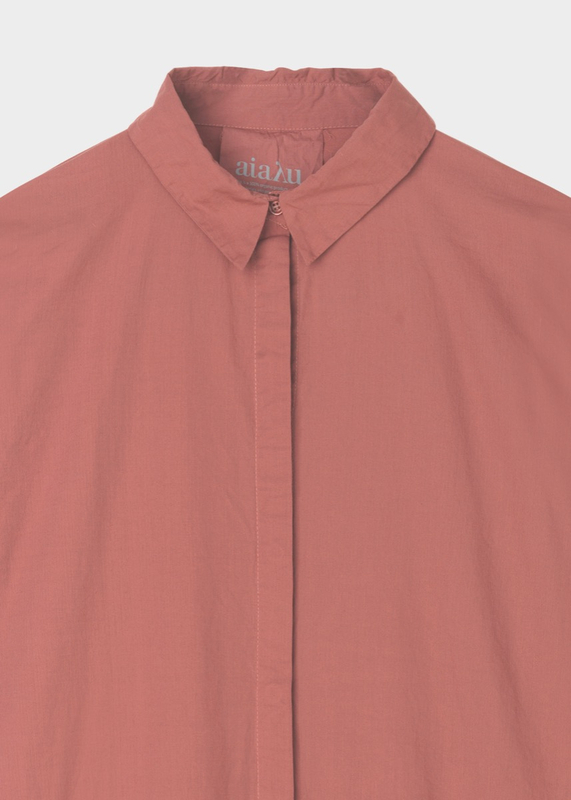 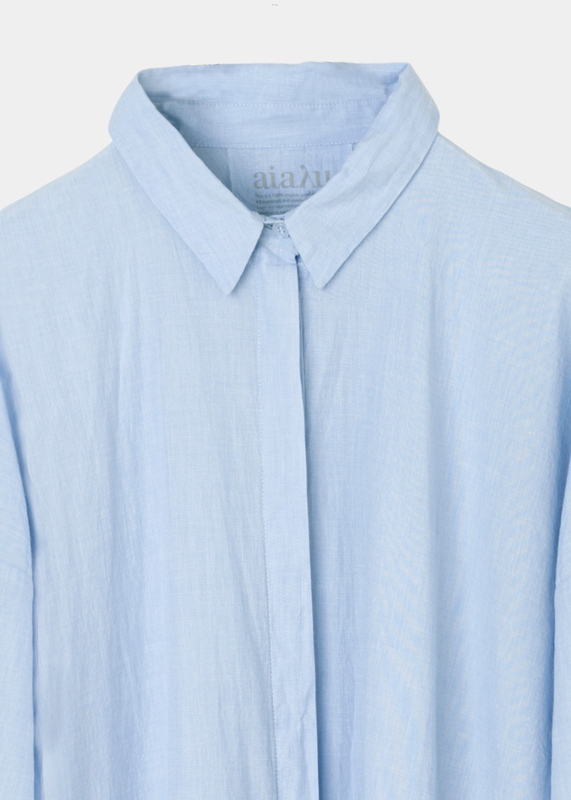 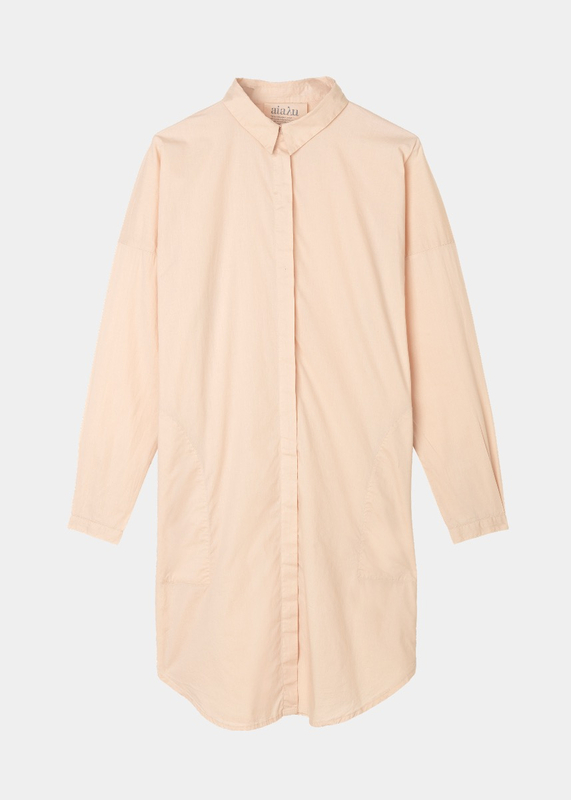 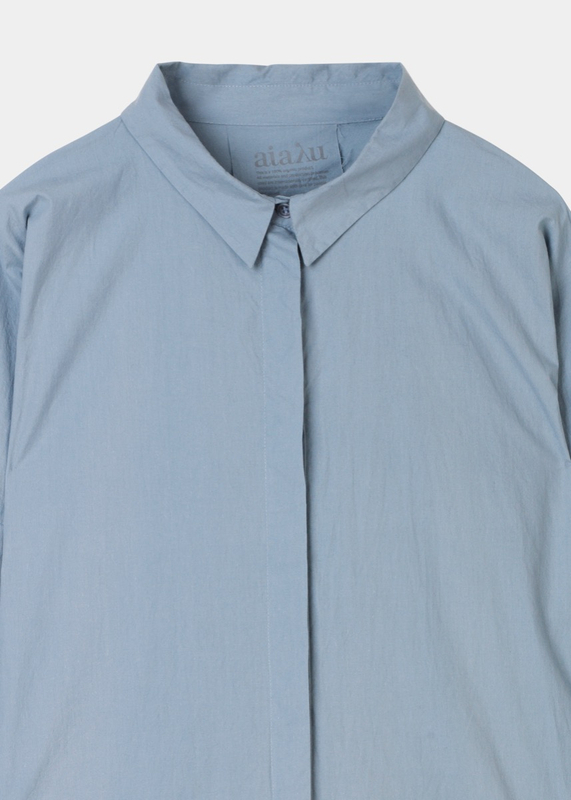 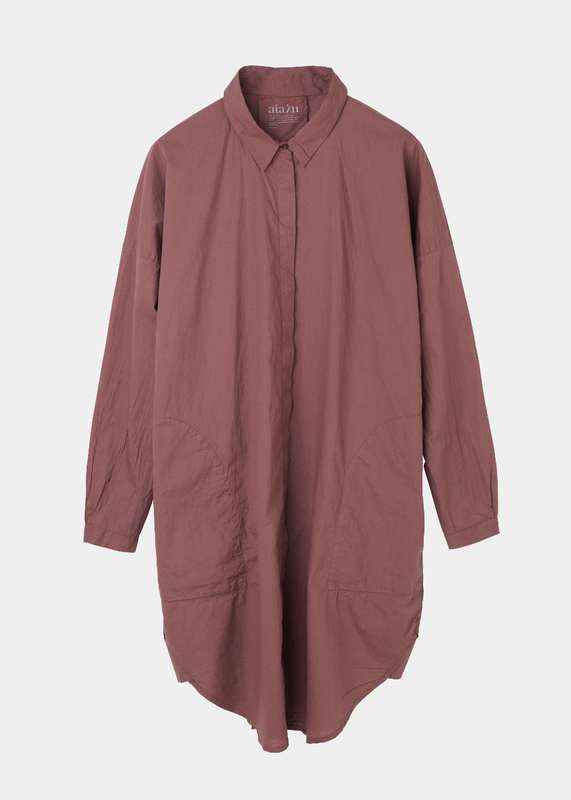 Organic cotton poplin shirt dress with a relaxed, boxy fit. 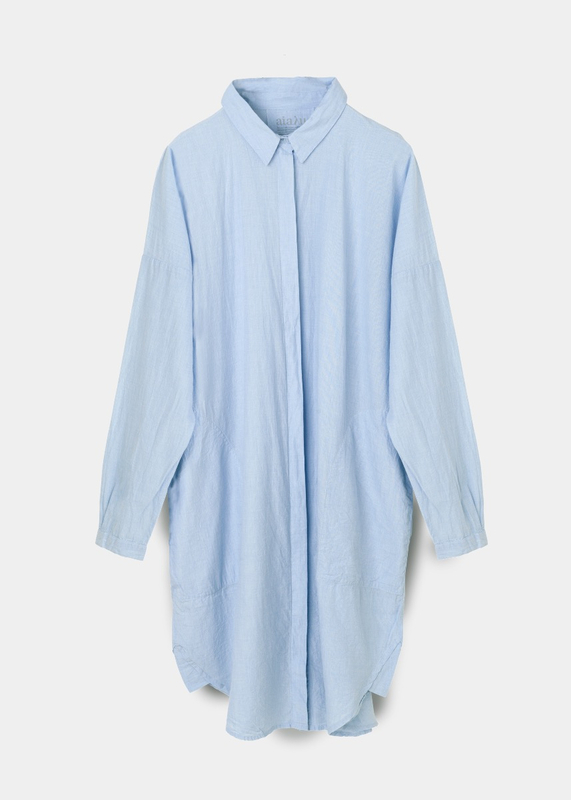 The AIAYU shirt dress is a wardrobe musthave, with its curved hemline and in-seam side pockets, and irresistible soft cotton texture. 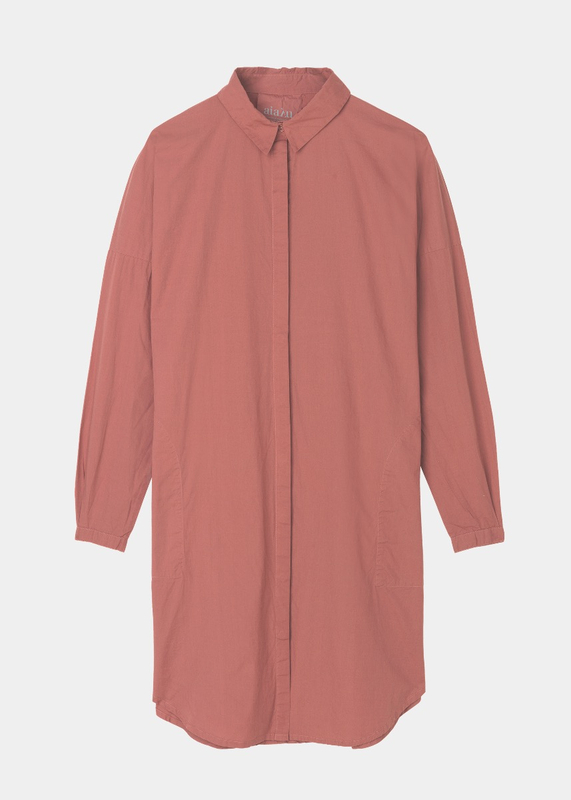 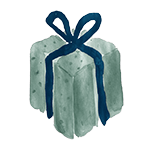 The dress has a narrow regular collar and hidden front button fastening, as well as classic buttoned cuffs and dropped shoulders. Hits right above the knees. 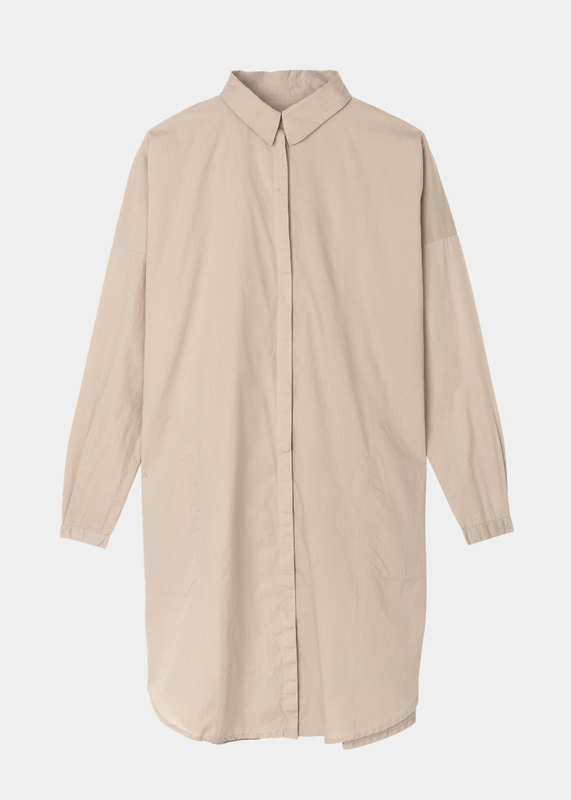 The fit of the shirt dress is oversized and very generous, and we advise you to size down if you are into a more slim look.